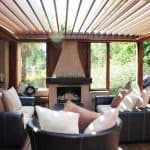 At Ultimate Alfresco we work with you through a proven process to ensure your project meets all your needs, is hassle-free and planned to ensure no hidden costs. We will keep you up to date at all times throughout the process. We believe in creating your ultimate alfresco area just for you. 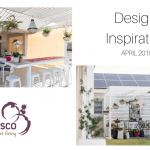 In this meeting, we discuss your vision, uncover your needs, and discover your alfresco dining dreams so that we can tailor our designs to match. Communication – A face-to-face meeting between you and Letitia, our Alfresco Design Specialist. If any clarification is required after the meeting, Letitia will contact you via your preferred method, whether that be email, phone or another face-to-face meeting. We will create an estimate of the cost of your project. Any costs that we anticipate being required to make your dreams a reality, we will make them clear to you. Transparency is key. Communication – Your estimate of the cost is advised via a meeting at the Ultimate Alfresco office. If this doesn’t suit you then we contact you via your preferred method. Now it’s time to put your ideas onto paper. Do you have designs from an architect? We work with them. Don’t have plans yet? We are always more than happy to provide our clients with professional designs. At this stage, we turn your concepts and ideas into concept drawings or plans. Communication – Design and plans are visual, and all the information and products are available at Ultimate Alfresco. Because of this we ask you to meet at the Ultimate Alfresco office to help you turn your concepts into plans. After creating the design and concept drawings for your dream alfresco area, we get out our calculator and provide you with the final costing of your project. Communication – Similar to Step 3 – all the information and products are available at Ultimate Alfresco. Because of this, where possible, we ask you to meet at the Ultimate Alfresco office to help you turn your concepts into plans. We’ll then prepare and provide you with your building contract. You will then have, at hand, all the specifications of your alfresco area, its construction and the project timelines. Communication – Your building contract is provided through your preferred method. We can go through it at the Ultimate Alfresco office, or if this doesn’t suit you then we send it to you via email or traditional mail. We will process all of the local council paperwork regarding your new alfresco area. This includes engineering certification, the building application and all legislative requirements, all submitted on your behalf. This saves you from the headaches and complexity this step of the process is often known for. Communication – Your preferred contact method is how you will be notified that this has taken place. After receiving council approval we’ll arrange our building team to begin work. 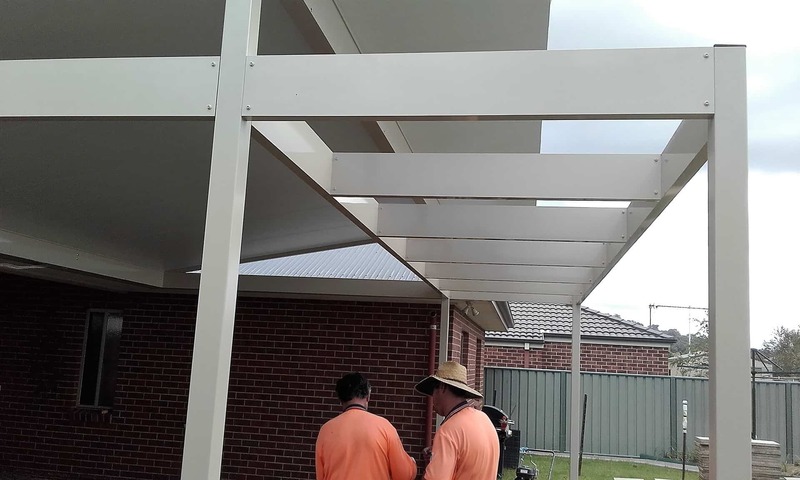 Building materials and other supplies will be delivered to your property and our team will begin turning them into your dream alfresco area. Communication – Your preferred contact method is how you will be notified that we are ready to start construction. This is also how we will contact you throughout the construction. After completing all of the building, construction and clean up work, we will contact you to arrange an inspection. We want to make sure that you are absolutely ‘wowed’ by the results and can start enjoying a fabulous future of entertainment and relaxation in your new outdoor space. Communication – The inspection is an on-site meeting. We’ll arrange this with you via your preferred contact method. We understand that communication through your build process is one of the most important things for you. You are welcome to contact us at any point throughout and after your alfresco build. 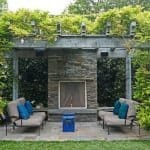 Sometimes it’s hard to see what your patio area could become, which can make coming up with a design or concept challenging. We hope these before and after alfresco designs help to inspire you. 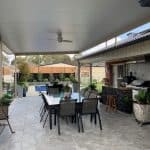 If you still need help designing your patio or outdoor area, or, if you would like to discuss how to design and create a beautiful space for your alfresco area, contact Letitia today.